I was approached by a university student who is doing research about how people express their feelings in different languages. This short interview will be a part of that research and I thought the questions in it were very interesting and wanted to share. Hope you enjoy. What made you start learning languages? I don’t actually know to be honest. I grew up in a multilingual environment, where most people around me spoke several languages and it was just natural to learn at least one or two for everyone I knew. I learned several languages as a child too and just continued learning as I grew older, because I liked being good at something and this was something I could do a bit better than others I guess. How many languages would you say you speak fluently? It’s difficult to say, what is fluent, but I would say about 8-10 including my native language. By fluent I mean at least 85% of the level of my English now. Including the country where I was born, Slovakia, nine. Where do you live now? What do you spend your days with? Do you use more than one language in your everyday life? I live in Kosice, Slovakia. 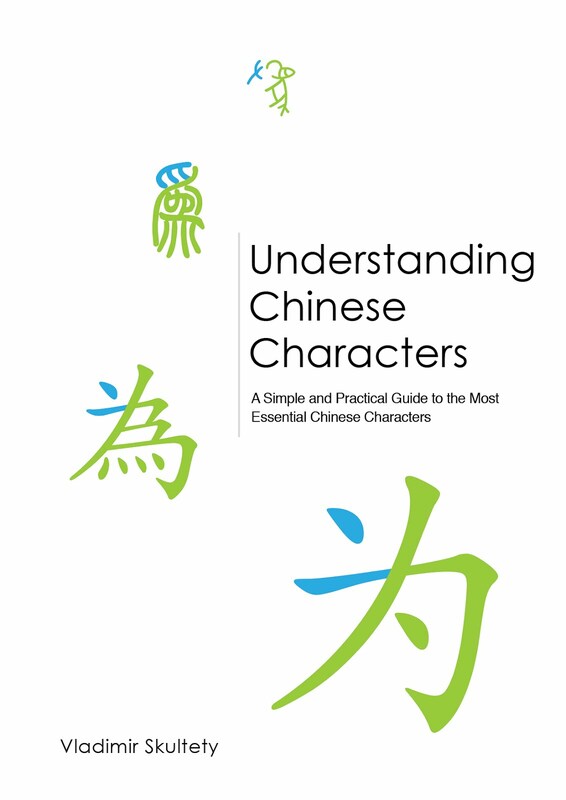 Currently I am working on a book about Chinese characters and spend most of my time working on that. Apart from the book, regular things I guess; I exercise and hang out with my friends. I use English, Slovak, Chinese and Italian on a daily basis. What language/languages do you consider your mother tongue? I would say Slovak/Czech, Hungarian and English, but this is again a complicated question. There is a difference between growing up with a native language and speaking a language at a native level. 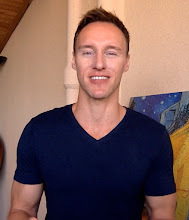 Your question is about the former I know, so I just wanted to add, that I don’t speak Hungarian at a native level anymore, because I haven’t used the language since I learned it in kindergarten. How many languages did you start learning before the age of 6? None, if I don’t count my native Slovak/Czech and Hungarian. If the question is how many languages I spoke before the age of six, then Slovak/Czech and Hungarian. Did you feel like you were at advantage at school compared to your monolingual classmates? Have you ever felt like you are more creative, flexible at thinking than your peers? Yes, but I don’t know to what extent it is attributable to my knowledge of foreign languages. Then on the other hand, everyone excels in something and my elementary school classmates were really incredibly intelligent, so it is really difficult to say whether I stood out or not. In language skills yes, but there were definitely people who had faster brains than me. Some of them were so good that I never met anyone with better brains until this day and I think I did meet quite a few people. Have you ever had any problems with mathematics? Do you find it hard to count in languages different form your first language, or the language you first used for counting? I did have problems with math in school, but that was because I didn’t like the subject back then. When I was about 30, out of interest I took a few online courses in Math and everything went fine, because I was really interested in it. I’m not a math genius, but I had no problems understanding all concepts I was learning. It’s interesting, that you mention counting, I’ve heard people research this often. Why do you speak a foreign language fluently but have to count in your native language? I personally think, that it is a matter of practice. I used to count only in Slovak, now I count in English too. I don’t know how relevant this is, but I noticed that I used to remember my own cell phone numbers in Slovak, regardless of the country I used to live in. In Taiwan, because it was really inconvenient not knowing my own number in Chinese, I had to remember it in Chinese too. I was a bit rusty with saying it off the top of my head the first couple of times, but then it became fully automatic. I also remember thinking, that I was concentrating more on the sound of the word zero-nine-five-three… and not the numerical value. Then again, numbers are very abstract and hold a lot of information, which I don’t know if people in general realize. It takes more brainpower to say ‘four’ than to say ‘car’. Yes, it’s hard sometimes. For instance ‘left’ and ‘right’ in Chinese. The two words are quite similar and I always have to pause a bit (up until today, after 8 and a half years of studies) before I say left or right in Chinese. Strangely, it influenced my thinking of left and right in general, because I have to think about it now even when I speak Slovak. I heard some women sometimes can’t tell immediately which is left and which is right. I couldn’t understand why, now I do the same thing. But, to be honest, again, I think that it is a matter of practice. Yes, telling the clock is a bit different in Chinese and requires extra thinking, but I think the problem is, that I just didn’t practice it enough. How many times did people ask me to tell the time in Chinese? Maybe 30 times in my entire Chinese-speaking life over the course of 8 and a half years. That really is not that much, if you take into account the number of combinations a clock can have, and factor in expressions like quarter to etc. I have to pause a bit for instance, when I want to say minute and second in Hungarian, because I don’t know which one is which one immediately. Maybe because we didn’t learn how to tell the time in the Hungarian kindergarten and now I confuse the two easily as an adult. Chinese has strange ways of dealing with the concept of time. Verbs do not have a past tense so you have to express it by stating when things happened: I go (now) Yesterday I go (I went yesterday). The thing is, you have to say when what happened every time otherwise (logically) it is unclear. It takes some time to get used to, but again I think with practice it becomes very automatic. It’s the same with the Italian conjunctive. It’s very difficult to understand, but if you use it often and hear all possible situations where it can be used (say there are 1000) you will just resort to those ‘safe’ set-expressions and not think about the fact that you maybe have to use the conjunctive or consider the grammar rules that apply. Can you think of all the words you know for a color, for example blue? I can say ‘blue’ in 9 languages. Men are known to not be so ‘skilled’ when it comes to colors I think, but again I think it is only a question of practice. Recently I was working with very slight shades of green, blue and purple. First I didn’t even notice the difference, now after a few weeks I can see them clearly. Were any of these variations of the color as a concept unknown to you before you learnt a particular language? With blue in particular, no. But there is a funny thing in Classical Chinese where 青 can mean (or used to mean) blue and green at the same time, so basically something clearly blue was青 and something clearly green was also青. I’m not sure, whether this is a mistake in understanding Classical Chinese by later scholars or a real situation. Is it hard for you to remember the gender of words in languages that have a grammatical gender? Are there words that have different grammatical gender in different languages? Does that affect your ideas about these words or the concepts they refer to? Yes. I mix up German genders all the time and people tell me my German is native-like, but again, I think this is a question of practice and the way we learn these genders. When I was a kid (around 6 years old), my grandmother’s sister used to teach me French poems and one of them was ‘La cigale et la fourmi’. Long before I had any idea about genders, as a kid, I thought ‘La cigale’ was one word pronounced ‘lasigal’ and ‘la fourmi’ again one word pronounced as ‘lafurmi’. Learning words like this, there is no way you can confuse genders. If you prepare the student for the fact that all words can have one of three genders you give him three choices before every noun. That is very tiring and takes a very long time to automate. It affects my ideas to a point where sometimes I choose the ‘easy way out’, that is use words where I’m 100% sure I know the gender correctly or use a verb+case construction (for German) where regardless of what the gender in Nominative would be, the one I would use would be correct (e.g. : dem=dem in Dative for both masculine and neuter nouns. If I can I find a construction with a verb where I can use the Dative instead of Accusative, if I’m not sure whether the noun’s gender article is Der or Das, I use the Dative construction, because regardless of the Nominative article, in Dative it will be Dem as opposed to Den/Das in Accusative). But, this is a completely conscious process. Have you ever felt like you act differently while speaking a certain language? Do you think the languages affect your personality while using them? I think yes, but there is one core personality in the back I think. On the other hand, I guess this is a very complex question and I don’t know what exactly is going on to be honest. I know for sure, that when I speak Chinese, my personality is changing, but that is a conscious process. I cannot be my complete western-self when I speak Chinese, because it would lead to a lot of cultural misunderstandings. Do you find it difficult to express emotions in languages other than your mother tongue? Can you convey emotions with the same weight using different languages? I never thought about this, but I would say again, that it is a matter of practice. After living in Taiwan for 5 years, when my native Slovak got really rusty, it was difficult to express anything even in Slovak for me, including emotions. Of course using swearwords automatically for instance, is something I only do in Slovak, English and Hungarian, but again, maybe that would be because of practice and a deeper knowledge of these languages. Their usage is much more automatic, I have been in situations where I myself have used or seen people use swearwords many times, in several stages of my life (child, teenager, adult) so I know this part of the language well enough to use it very suitably and automatically. I would guess that it would be the same with expressing emotions in general as well. Do you find it easier to swear or talk about embarrassing, or painful things in languages other than your mother tongue? I don’t swear in any language other than Slovak, English and Hungarian. I think it is in great part a conscious decision, because you really need to know the language extremely well to be able to use swearwords where they fit the situation, your emotion and the context correctly. It is a very thin layer of the language and if you use swearwords in a language you don’t speak very well, you end up sounding really dumb. Have you ever felt the need to switch from a language to another to express a certain thought perfectly due to lack of terms in the language you were speaking? Has it ever happened using your mother tongue (switching to a language you learnt later)? Yes, but again I think it is a conscious process and it is due to lack of practice. When I was in Taiwan, we spoke a mix of English, Slovak and Chinese with my Slovak friends all the time, simply because we were using English and Chinese most of the time and were forgetting Slovak. I even had to switch to a few full English sentences with them sometimes. What language do you use for thinking? Is your self-talk always in the same language, or does it change depending on the country you leave in or the situation you are in? Do your languages ever “mix” in your head or private writing (such as shopping lists, diary)? Again as with the above, this is a matter of practice/habit. Whatever is most convenient and poses the least obstacles. Mostly in English and Slovak. They mix up, but it is mostly a conscious process. When it is subconscious, it depends on whichever thought comes first (of the languages I speak really well at the given moment) or whichever word better describes the concept in that given situation, or if I wrote the title in English, I would continue writing in English etc. The only time I can remember I couldn’t control this was when I was in Hungary and started speaking Hungarian after a very long time (after 5-6 years). I was with an English friend, he would ask me, what does “oktatás“ mean and I would ask „oktatás?“ and I would then start the explanation in Hungarian. I had to stop myself consciously after 5-6 words, which is really a lot and switch to English. It happened to me at least 20 times on several occasions and I still don’t know why it was happening. Apart from this one instance I have no problems controlling which language I speak, if I want to. How hard do you find it to switch form a language to a different one? Not very hard to be honest. This is again a question of practice. If I have enough practice and concentrate well, I can switch between languages several times even in the same sentence. But that is just a show off thing to do for fun. Generally, switching is not a problem if the languages I speak, I speak well. I can switch between languages even when I’m very tired. It takes slightly longer (quarter of a second maybe, not that much) but then again, when I’m really tired, I have problems speaking any language consistently. The only time I had problems switching was with very similar languages that I didn’t speak well or didn’t speak for a very long time and the above-mentioned inexplicable Hungarian instance. Do you feel like you have to change your way of thinking to accommodate “world view” to the new language? Consciously only with Chinese. As I mentioned above I cannot be my complete western-self in Chinese (not only me, I think westerners in general), because it would cause a lot of cultural misunderstandings. Subconsciously, I don’t know. It’s difficult to say, because I never consciously observed it, if that makes sense. Do you feel like you are a part of that society when you use a language you learnt in native environment? Do you think such experiences change your personality in any way? Yes but only with languages I learned as a very young child. Maybe this has something to do with acquiring the culture of ‘children’. People say that inside we will forever remain children and that is what our real personalities are, they just manifest themselves differently as we grow. So maybe, because I learned Slovak, Hungarian, English and partly German as a young child (0-12 years old), I have the culture of children of these languages in me and feel like I am a part of the Slovak, American, Hungarian or German societies. As to how they change my personality, I’m sure they do, but I guess it would be very difficult to estimate by how much, what is my personality, what is a habit I picked up later in life, what is a conscious process etc. And finally, do you agree that being multilingual means living in “multiple worlds” at the same time? I don’t know. I guess to an ‘outsider’ it might seem like that, but to me it’s one world with multiple slightly different personalities rooting from one core personality. I've followed your writing here for years, but I'm not sure that I've ever commented before. This interview made me think, and I've been thinking about it for several days. During that time I took the time to watch some of your videos. It was then that I realized why I still read your posts even after I have stopped reading other language blogs: you make me want to try again. I've become acquainted with some languages, but I've never managed to approach anything like fluency in them. I'm not sure that I'm committed enough to put in the time and work necessary to do what you do and that's okay, because I know what my daily priorities are and I'm pretty much in line with them most of the time. But a part of me still aches to get better with languages than I am, and your life and your honesty reach that part of me while providing the gentle nudge to try again... and again. I wanted to thank you for that, because whether I ever reach my ideal in this area or not, you help me to keep working toward it just the same, especially when I've become distracted or discouraged and am ready to let it go along with the things I do not care as much about. thank you for your kind words. I appreciate them very much. Hello Elijah, I don't dream that much, or I don't remember my dreams I guess. If I dream I usually dream in the language I'm using most at that time.